It just wants to give you a leaf-cut. Koalas are vicious. Be careful! You sure they aren’t drop bears? 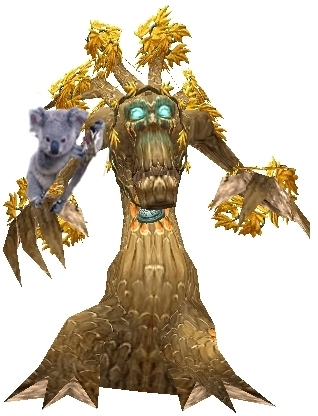 Maybe it’s a PvP tree that has spec’d into Koalas of destruction. Maybe Otis an Aussie Snobold?